The average wedding can run anywhere from $20,000-$26,000. The big ticket items usually include the food, flowers and venue. Because the expenses are usually sky high for a wedding, many couples search for places to cut down costs. The best way to bring down the cost is to DIY different components of the wedding. Consider the following compilation of different ideas to DIY your wedding. Create a simple flower accent with florist tape, ribbon, scissors and a corsage pin. Feel free to get creative with the materials. For a funky twist, replace the ribbon with a material like burlap. 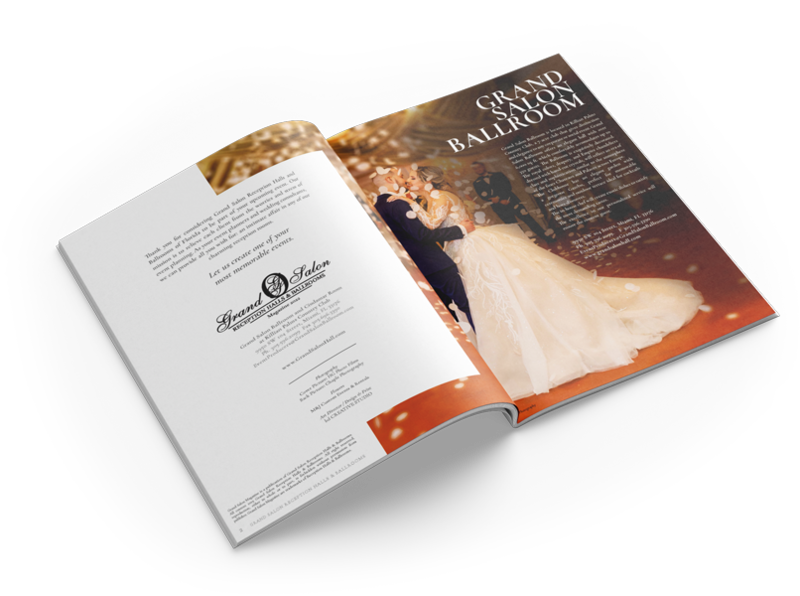 There are plenty of free templates online for wedding programs. Print out the needed amount and add pretty accent touches like ribbons or glitter. Purchase flowers in bulk at the local flower market to keep costs down. Find interesting ways to display flowers in different vases with floating tea light candles. This is a great way to send a parting gift that accurately reflects the couple. Many people love to give chic small totes filled with candies. For a fun option, package the ingredients for s’mores in saran wrap with a ‘Sending S’more Love’ note. Backdrops are super simple to make. They are also easily customizable. The skeleton can be made from materials like wood or even PVC pipe. Once the skeleton is completed, use any material from ribbons, glitter, or fabric to create a unique backdrop. Building a website can be tricky, so it’s a good thing that there are so many ready-made templates out there. Thanks to the many plug & play options available online, there is no reason not to have a beautiful customized memoir of love on the internet! There are so many different materials to use to make a chandelier including hula hoops and Christmas lights. Florists often charge quite a bit for floral decor design. Using floral foam, cutting shears and a little bit of patience, it is possible to design heavenly floral designs. Let’s not forget the bouquets for the bride and her beautiful bridesmaids. The night before the wedding is prime time for creating the arrangements. More hands make work light! When guests arrive at the reception, allow their chairs to be a source of decor in the room. Silk draping and pom-pom puffs make beautiful designs. Collaborate with friends and scour the internet for different ideas on how to make these projects come to life. It is worth the effort! After all, it’s the wedding day!